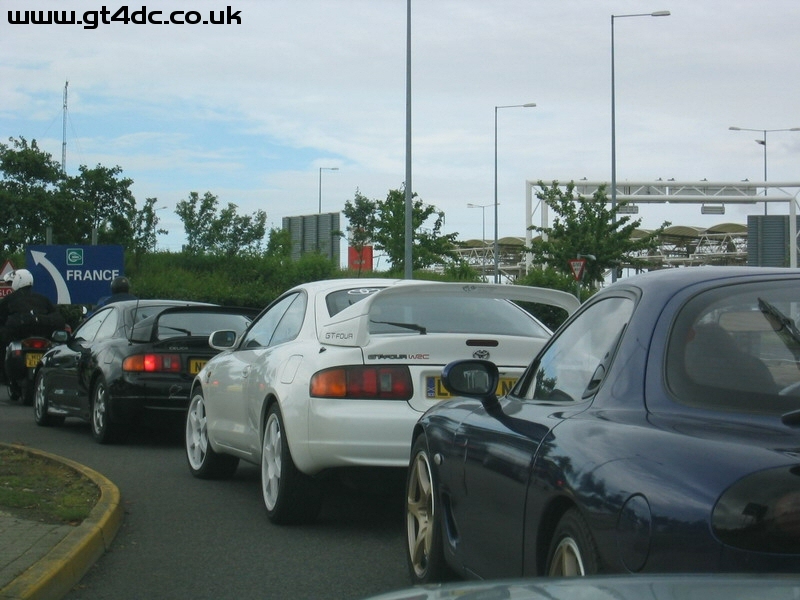 Our journey to Le Mans started on Thursday morning where our group of 4 cars (3 ST205’s and an RX7) met at the Eurotunnel terminal in Folkestone. After checking in and getting some sustenance for the journey we loaded the cars onto the train and began the crossing to France. 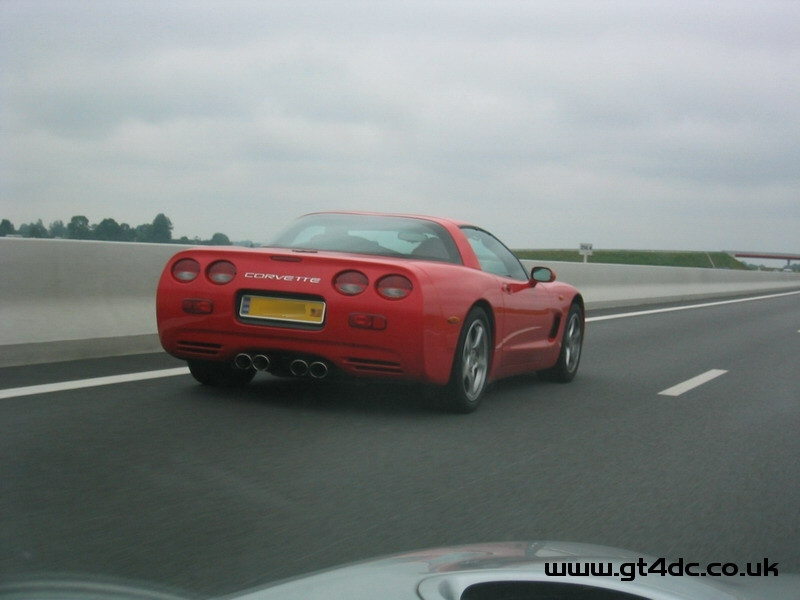 We arrived in France at about midday local time, the drive to Le Mans from Calais takes about 5 hours and is 400kms, eager to get some distance under our belts early we headed straight onto the autoroute. 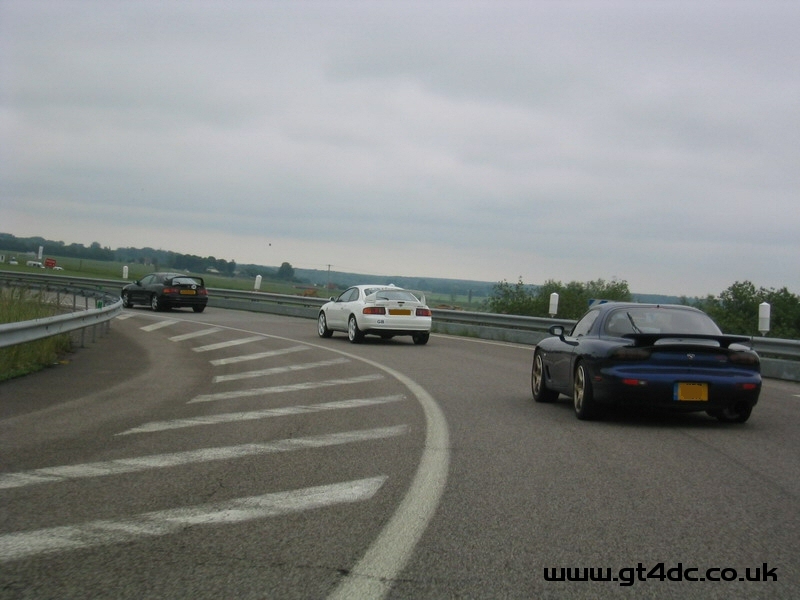 As some people may know the French roads are generally very good, smooth and fast, using satellite navigation we were able to detour round known traffic hotspots that we found last year and including a stop for lunch we arrived in the Le Mans area at about 6pm. 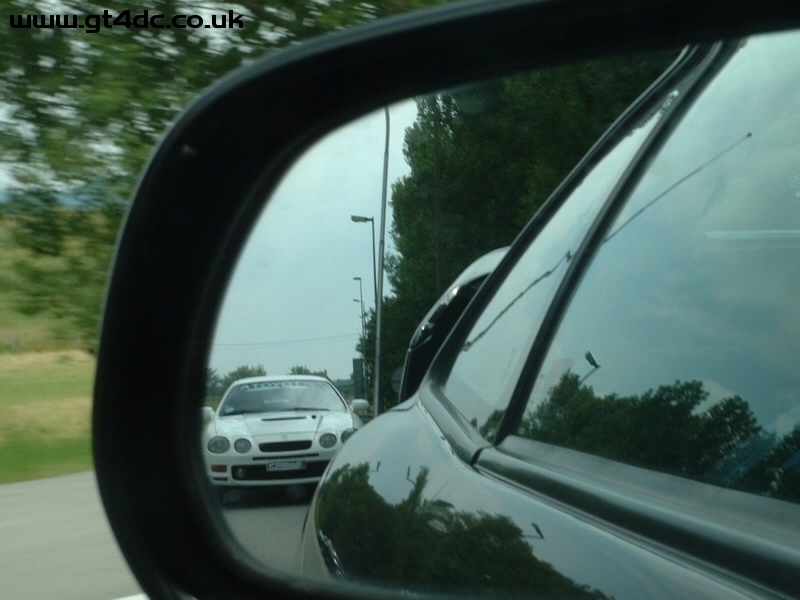 The drive down is always fun and its guaranteed to see some interesting cars en route. 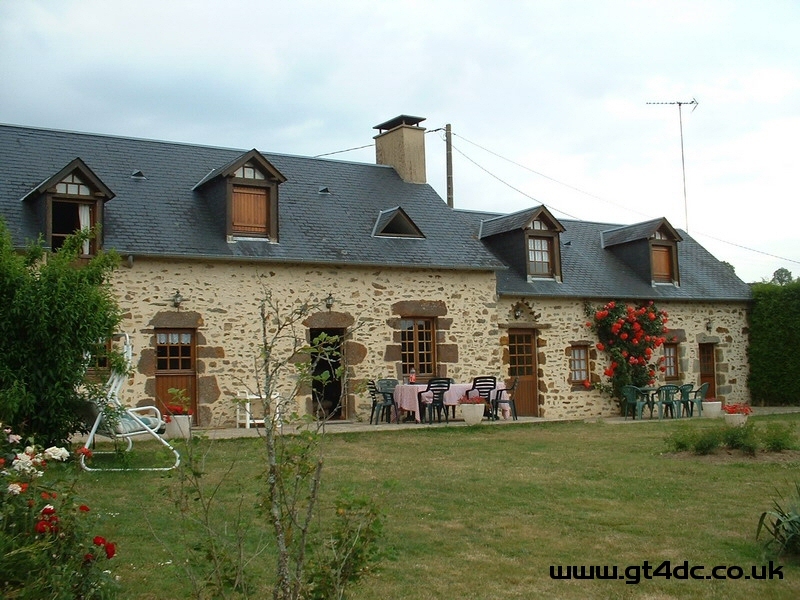 Then the problem of locating our cottage accommodation began, the instructions given to us did not seem to make any sense, after about 40 minutes of searching we resorted to using the telephone and Don’s (TrackToyFour) French linguistic skills to speak to the owner of the property who kindly came to collect us. The cottage was great with excellent views and a large patio, we got settled in and then headed out to find some dinner. We ended up at a hotel restaurant where a gaggle of TVR’s were staying, the food was good and entertainment was provided by the unique sounds of TVR exhaust interspersing the conversation. Friday morning dawned a little hazy and after some breakfast we headed down to the circuit to get familiarised with the layout and do the obligatory walk down the pit lane. In the evening we headed into the centre of Le Mans for the drivers parade, getting there was interesting due to the construction works happening in the city at the moment. The drivers parade was very busy and although the atmosphere was good we couldn’t see a great deal so after a short period we headed back to the cottage for a dinner of bread, cheese, salami and a few beverages. Saturday – Raceday. We arrived at the circuit at about 11:30 parked the cars and headed in, taking our seats in the grandstand we watched the pre race entertainment for quite a while soaking up the atmosphere. After a spot of lunch we returned to the grandstand for the start of the race, for those people that have never been to the 24 hueres du mans it really is fantastic, on the first lap as circa 50 cars and over 30000 horsepower come screaming down the pit straight, the sound is like nothing else on earth. 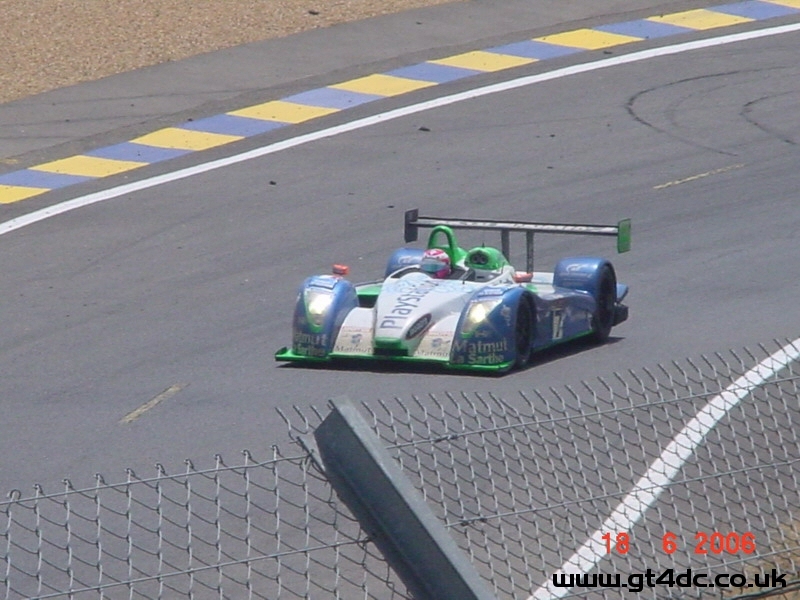 From the outset the diesel powered Audi R10’s truly showed just how quick they were drawing out a lead of 3-4 seconds per lap over the 2nd place Pescarolo’s. 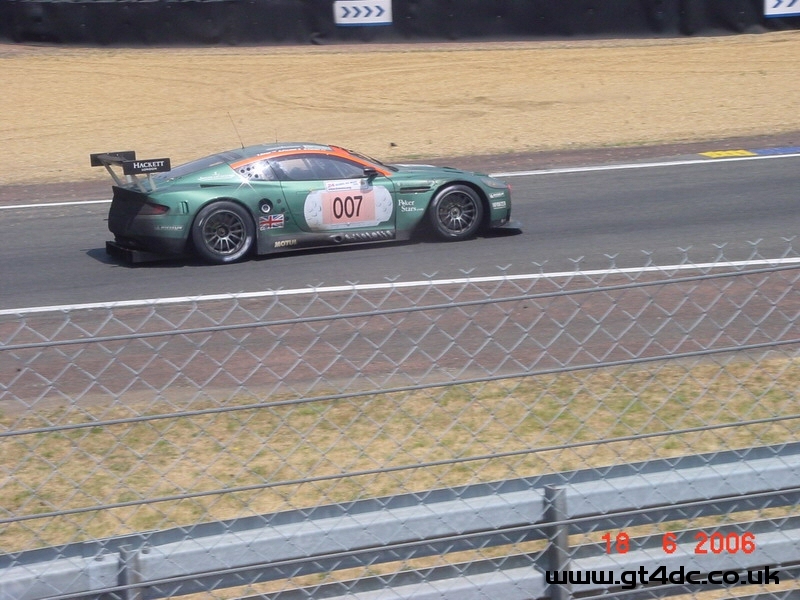 As expected the Aston Martin / Corvette battle proved immensely entertaining with both teams very evenly matched in terms of pace. We spent some time spectating near the famous Dunlop bridge before heading over to Nigel’s campsite for some refreshment. 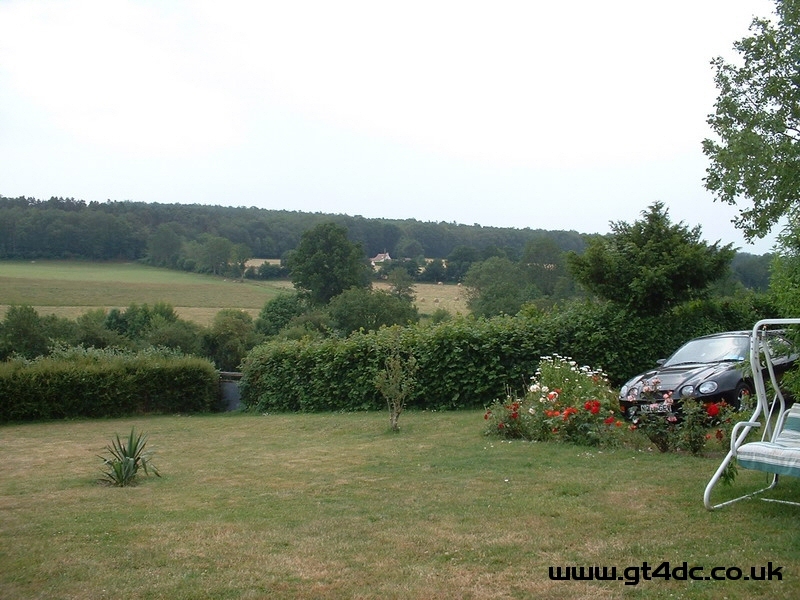 We stayed with Nigel for a few hours, enjoying conversation and listening to the cars passing by just 50 or so metres away. 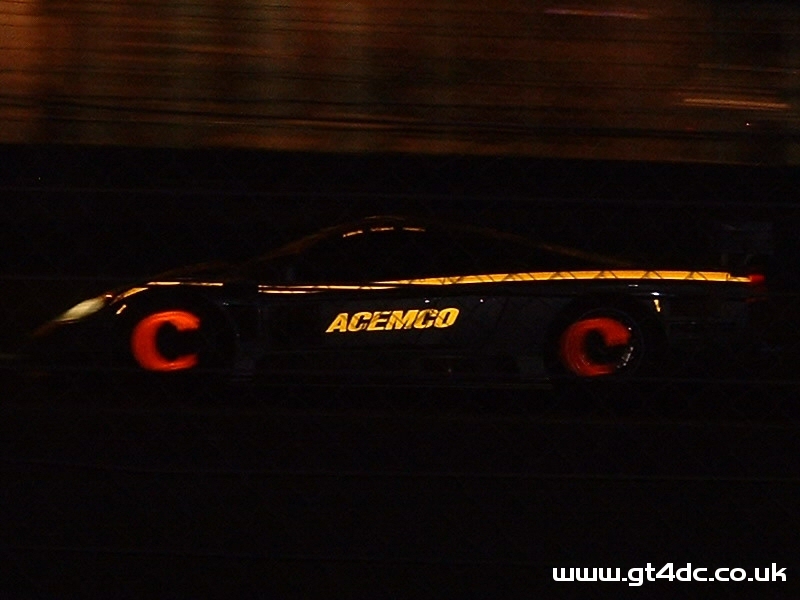 Once it had grown dark we headed to a nearby spot where the cars can be seen braking from quite high speed for the corner, its amazing to see the brake discs glowing bright red/orange with the heat. Photography of the cars at night is exceptionally difficult, hence the poor picture. 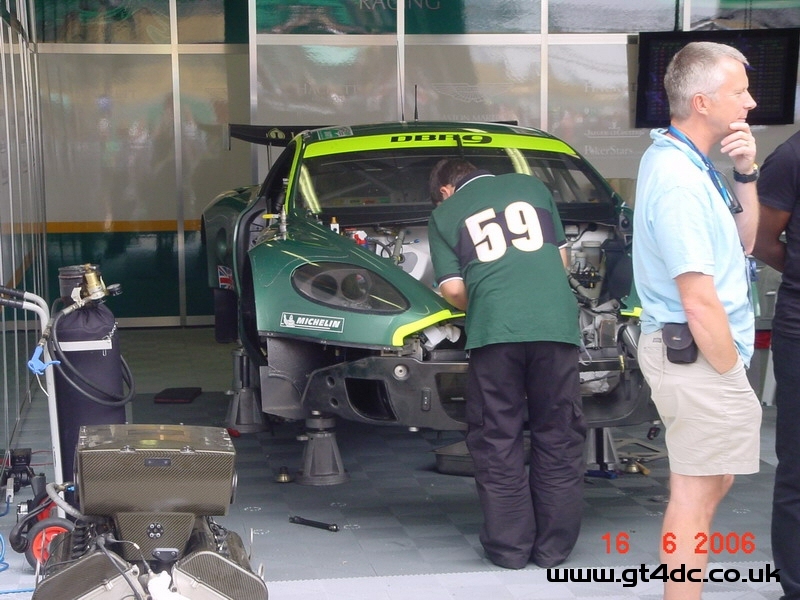 We left the circuit at about 1am and headed back to the cottage for some sleep. 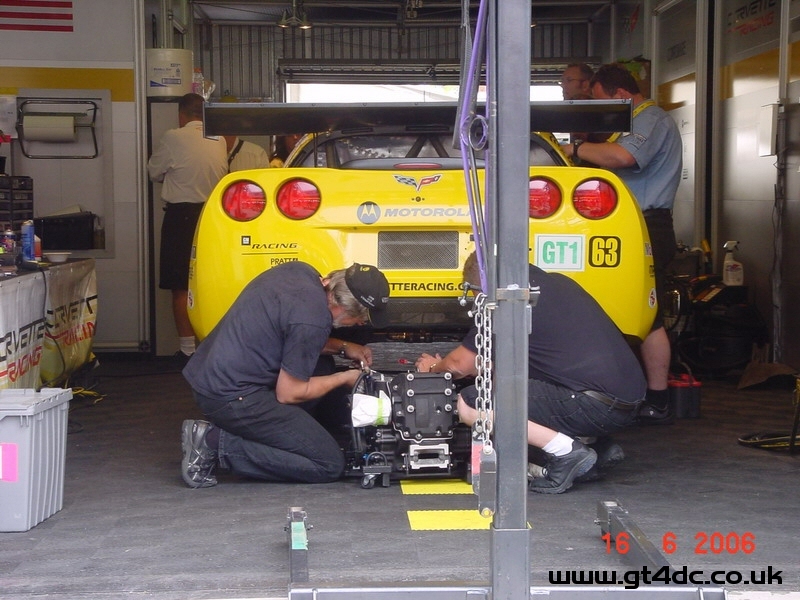 Returning to the circuit at about 11am it was back for some more spectating, the last few hours of the race were exciting with Corvette and Aston Martin suffering technical problems and the battle for the GT1 lead quite intense. 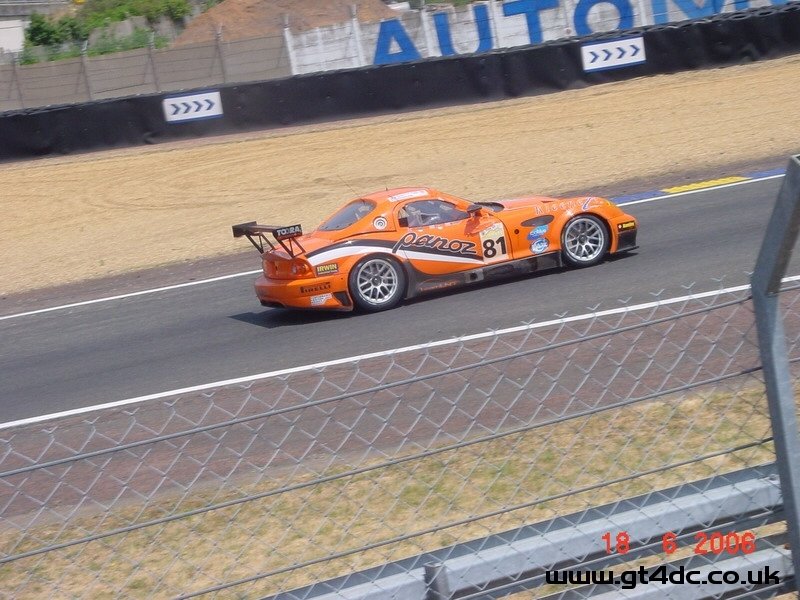 The GT2 category was also intensely fought along with the LMP2. 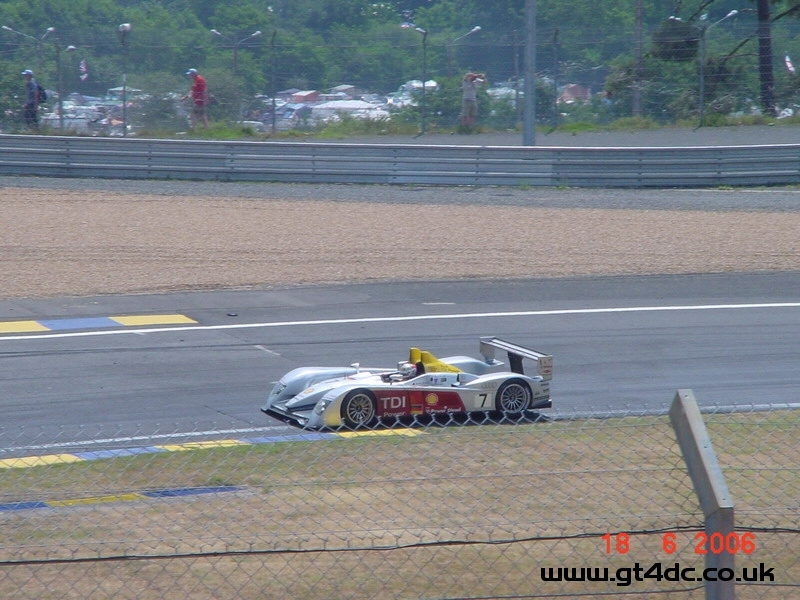 In LMP1 the Audi R10’s were running b as ever and won the race overall. 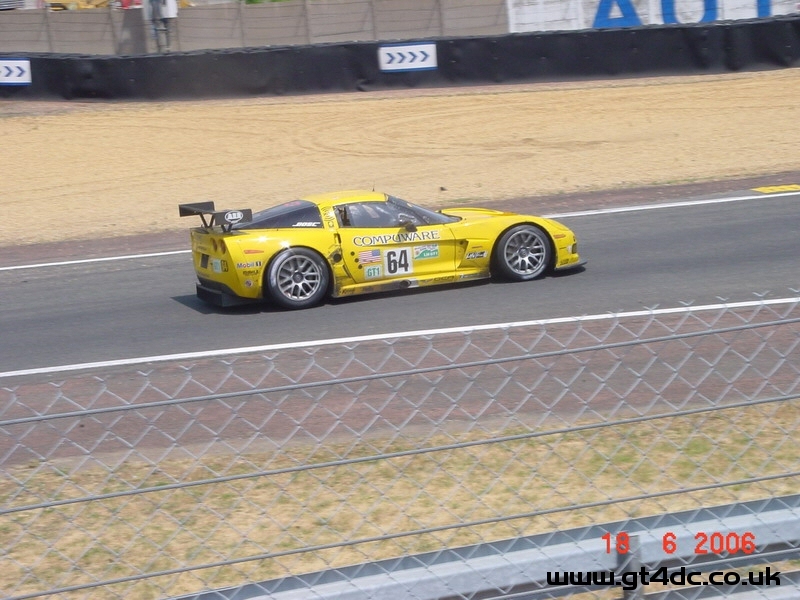 Corvette managed to hold onto the lead in GT1 and the all-British Panoz team won GT2. 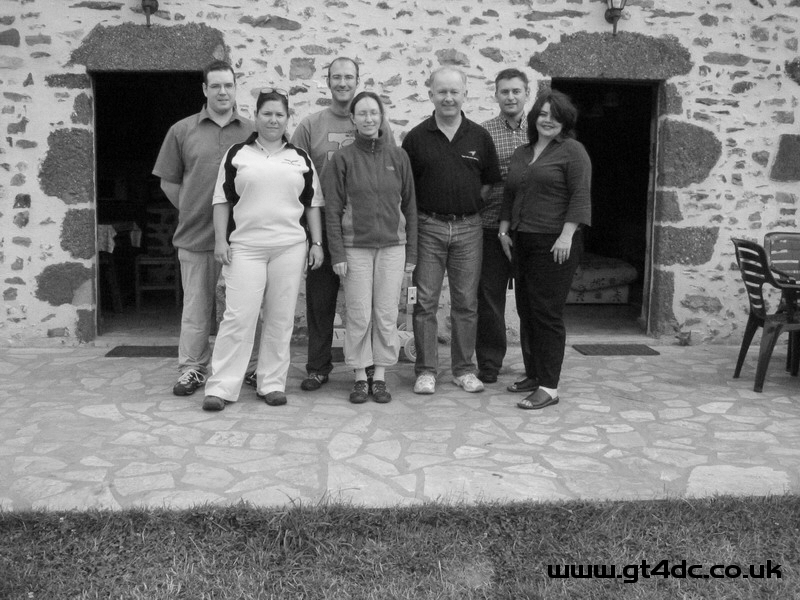 After the race we headed back to the cottage to freshen up before going out for a dinner of steak & frites. The drive back was fun with no major hold-ups and no hassle from the gendarmerie who seem to keep a close eye on the whole route there and back. All in all an excellent trip, great racing, great roads for the cars and good company. 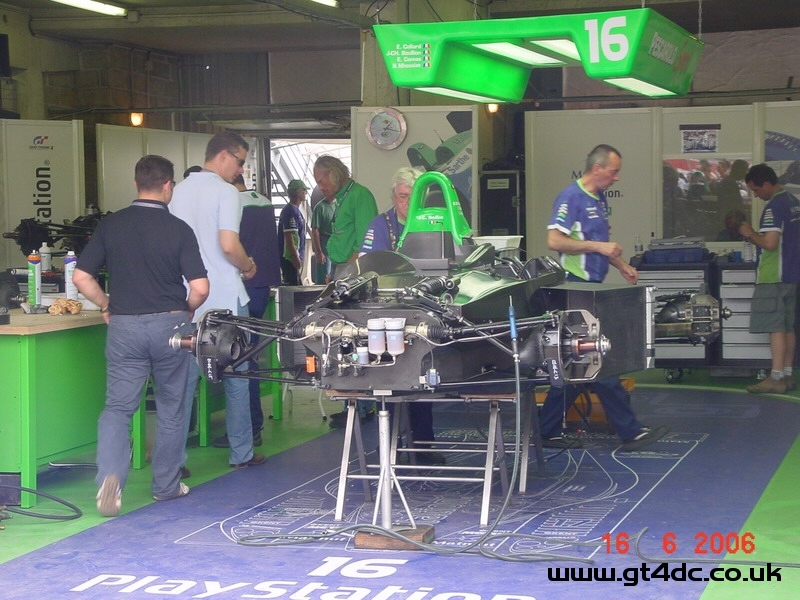 Hopefully some club members will decide to make the pilgrimage next year, for petrol heads its really a must-see.